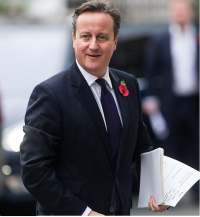 David William Donald Cameron is ready to put forth a “plan B” to restraint European Union Migration to the UK. This new consideration would also involve the new rule of limiting benefits payouts to out-of-work migrants than those in the existing positions. He further planned to stop his protracted war for treaty amendments, which would stop EU immigrants from receiving additional benefits till they are in a job in the UK for up to four years and focus more on other measures that would help in grabbing the attention of more EU migrants to the United Kingdom. Sources added that PM plan to restraint in-work features has created a wall of opposition from almost all the EU governments, with many revealing that Europe’s dedication to free movement of labour will be stopped. Few of the concerned EU leaders noted that this would create a red line for those who do not possess valid job offer in the province like first-time EU job-seekers and those who have lost their existing jobs after short period of working. In fact, this would become as a significant reform in the coming days, said the concerned sources.